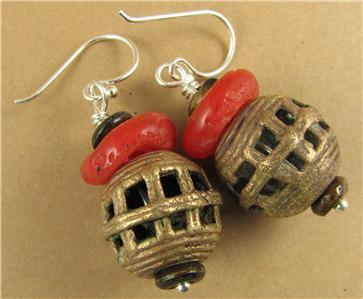 Home › Earrings › Large African bead earrings. Brass. 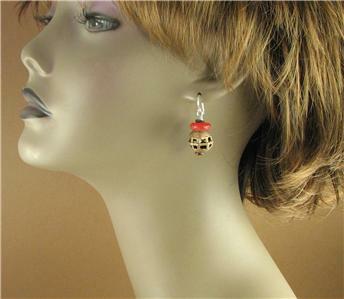 Red/orange. Sterling silver. Handmade. 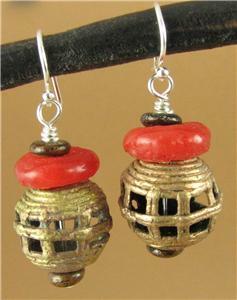 Large African bead earrings. Brass. Red/orange. Sterling silver. Handmade. 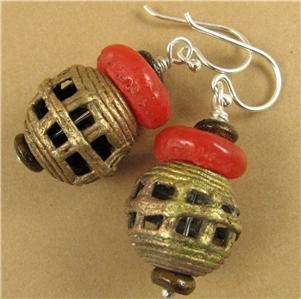 This is a striking pair of African bead earrings . 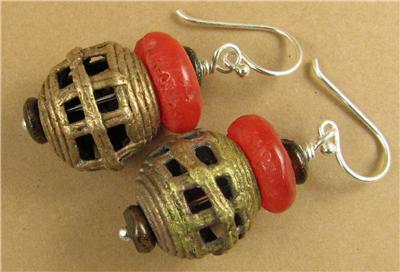 The large metal beads are handmade brass beads from Ghana in Africa. 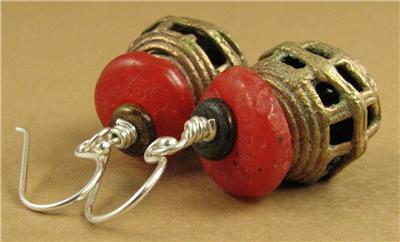 The red/orange beads are glass and are also handmade in Africa. 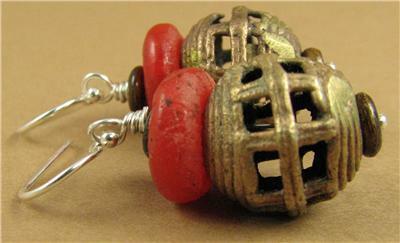 The tiny brown beads are Tibetan buffalo bone beads. 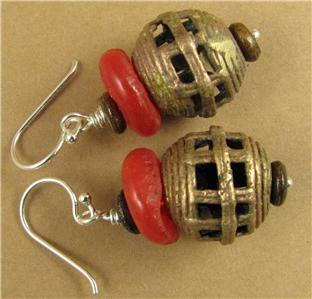 The wire inside, and the ear hooks are solid sterling silver. 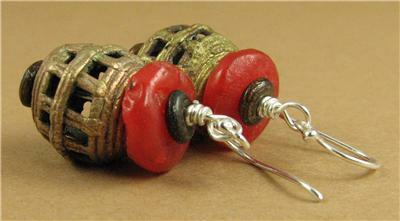 From the top of the hooks, these earrings are 3.5 cm long.